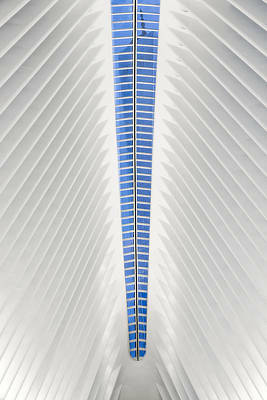 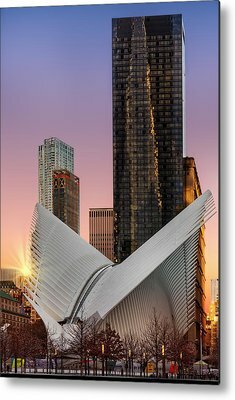 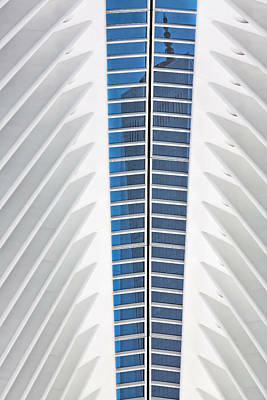 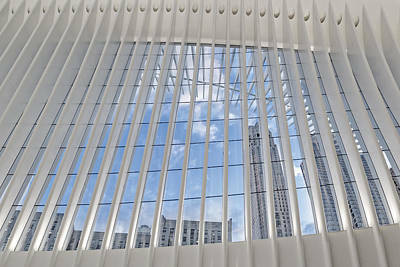 Images from the cathedral like pavilion at 4 World Trade Center in lower Manhattan in New York City. 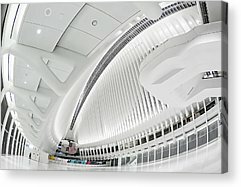 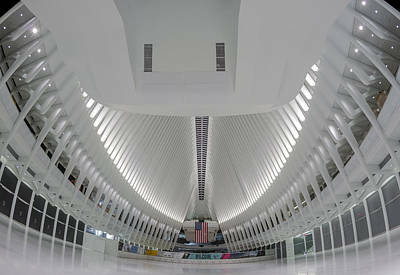 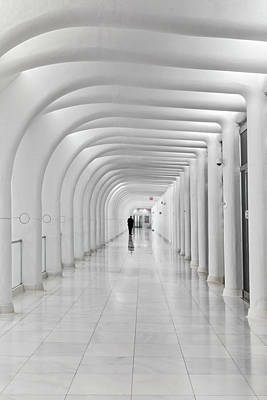 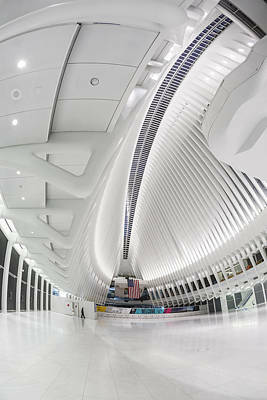 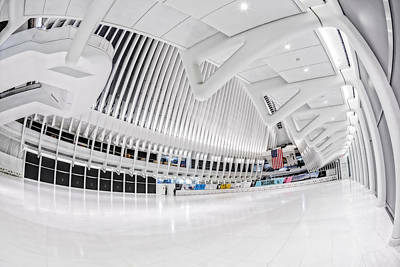 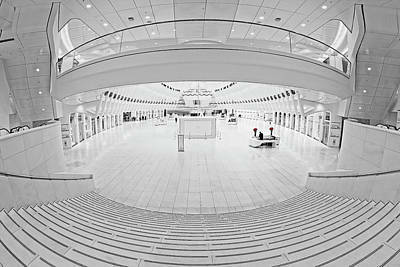 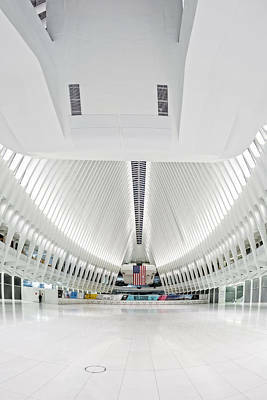 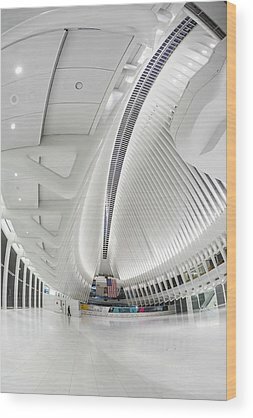 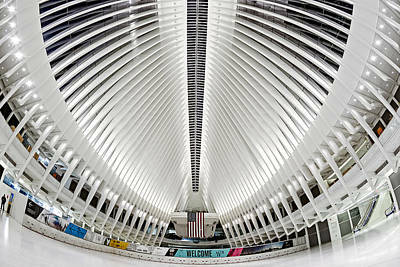 This airy, white and peaceful transportation hub is considered a way to honor the victims of the 9/11 terrorist attacks. 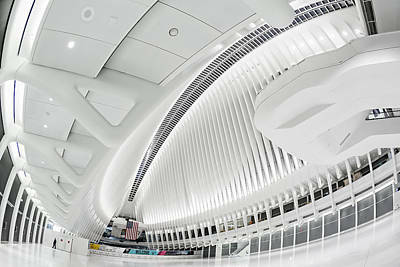 The hub will service 11 subway lines, ferry service and the Port Authority Trans-Hudson trains to New Jersey. 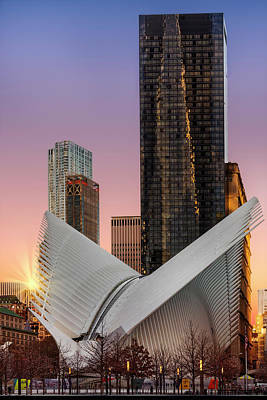 The station replaces the one destroyed in the 9/11 attacks. 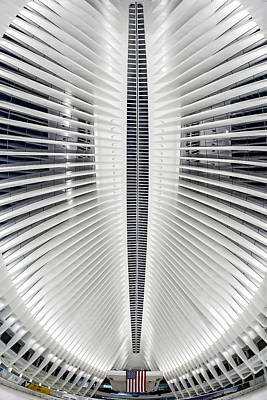 It was designed by architect Santiago Calatrava and comes with a high cost of $3.9 billion.